Vaseline® is introducing their first ever moisturizing body serums with 10X the healing power to reverse dry skin damage. serums are known for their advanced benefits in face and hair care and are now available for all over body moisture. Vaseline® Intensive Care™ Healing Serums are formulated with superior, highly concentrated healing ingredients and come in three different non-greasy variants. i gave the Advanced Relief Healing Serum a try. living in such a dry climate my skin just screams for moisture and this Advanced Relief Healing Serum did just the trick. one of the perks of my job is that i get to work with amazing companies and feature the clothing they sell. this particular photoshoot is to feature the gorgeous summery white dress from Maude Boutique. they are a boutique based in Arkansas but you can purchase their products online. stocked in the boutique you will find trendy, flirty and fun clothing that are seasonally appropriate and affordable. this white dress is darling and i loved featuring it. having good skin for this photoshoot was essential. the perfect white dress needs glowing skin to compliment it and this Vaseline® Intensive Care™ Healing Serum did just the trick. want to know my favorite thing about recommending products? it is when i can recommend a product that is effective, affordable and easy to find. 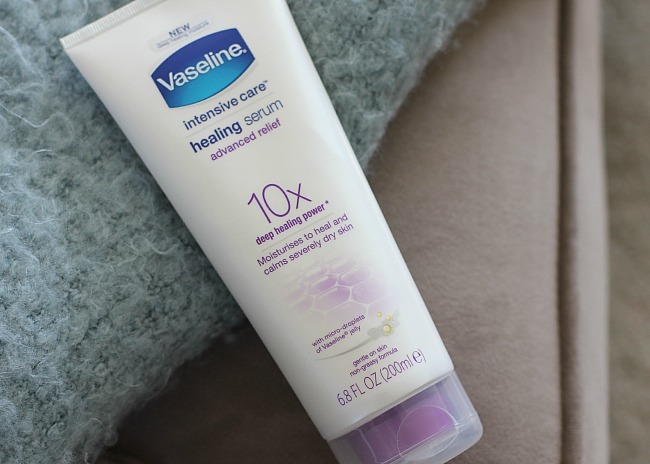 you can pick up these Vaseline® Intensive Care™ Healing Serums at your local Walmart.